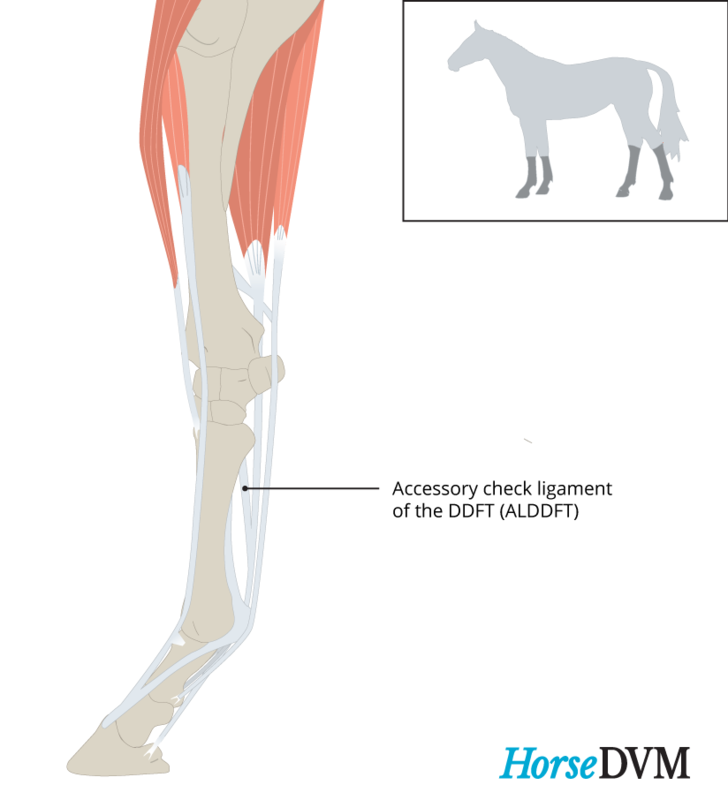 Desmitis of the accessory ligament of the deep digital flexor tendon (ALDDFT)is a common soft-tissue injury in performance horses. The ALDDFT is a reinforcing ligament that begins at the plantar (palmar) fibrous joint capsule of the tarsus (carpus), courses distally between the suspensory ligament and the deep digital flexor tendon (DDFT) and inserts on the dorsal surface of the DDFT in the mid-metatarsal (metacarpal) region. During exercise, the ALDDFT of the forelimb shares the tensile load with the DDFT, preventing overstretching of the latter by passively carrying the load during maximal extension of the distal interphalangeal and metacarpophalangeal joints. The ALDDFT and the superficial digital flexor tendon (SDFT) are bound by fibrous bundles. It is this connection which predisposes development of adhesions between both structures, in cases of severe lesions and inflammation of one of both structures. Most injuries to the ALDDFT occur in the forelimbs, which are subject to the largest loading during the end of the stance phase of extension of the leg or after landing over a fence. Progressive aging degenerative changes are thought to predispose horses to injury. Tenogenic induced MSC (Tendo-Cell) 6 weeks after the intralesional injection, all treated horses showed 80% imrovement. Fair for return to athletic use. 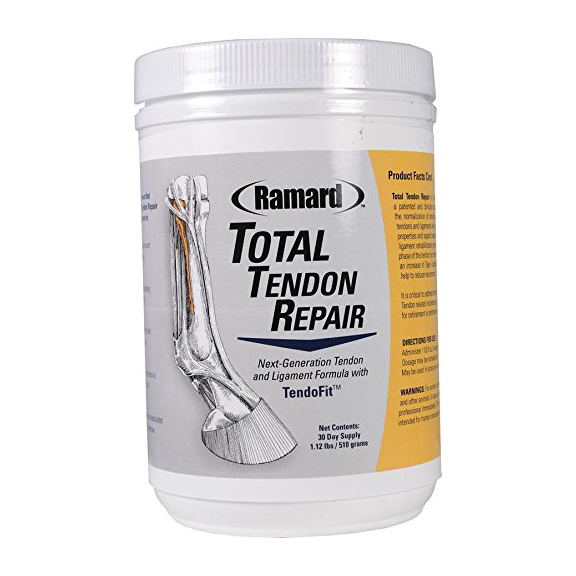 It causes more long-term lameness than other tendon/ligament injuries.